Just because “it’s based on a true story,” filmmakers think they will get a favorable review. 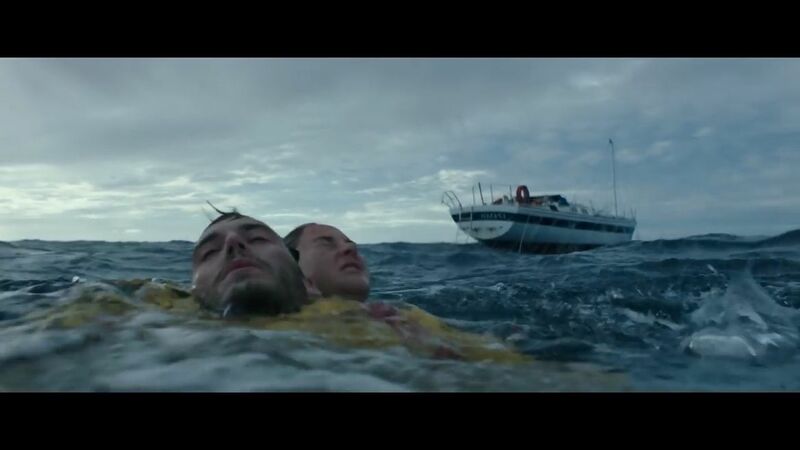 I only say this because for some unknown reason the filmmakers behind “Adrift” thought they had an automatic gold mine on their hands with this true life tale about one woman’s ordeal with the ocean blue. Oscar nominee Shailene Woodley (2011’s “The Descendents,” “Divergent”) and Sam Claflin (“Me Before You,” “The Hunger Games: Catching Fire”) are a couple in love each finding their place in the world. Her character, Tami Oldham comes from San Diego, one of her pit stops in her diversified life. Calafin’s part is Richard Sharp, a slightly older gentleman who just hits it off with Tami and he offers to sail around the world with her as their duo embark on a journey neither will forget. 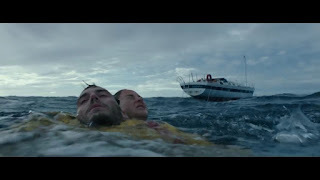 Like my recent bout with superhero movies as well as that “Star Wars” spin-off, “Solo” A “Start Wars” Story,” I can’t give away too much in “Adrift” without running the storyline. Another one of my main complaints about the H2O aspect is that filmmakers have never found a way to make water suspenseful in the least. For every great movie, Like Steven Spielberg’s amazing four-star masterpiece that is “Jaws,” there is nothing truly remarkable about anything to do with the ocean, lake, or the like. Another one that was involving was 1972’s “The Poseidon Adventure,” wherein a big name cast faced dilemmas galore aboard a giant ocean liner. It got made because it was a big budget disaster movie. It had an all-star cast with recent Oscar-winner Gene Hackman, (“The French Connection”), Red Buttons, Shelly Winters and Ernest Borgnine. The whole point is that water doesn’t work in movies. The only recent release that surprised me was “American Assassin” last year that actually had enthralling action sequences that actually worked. The subplot involved anti-hero Taylor Kitsch as the antagonist of that tale, who wanted to bring death and destruction to our beloved planet. His scenes with both Michael Keaton and Dylan O’Brien made the movie worth watching. I gave it a grade of a B last year. In “Adrift,” the antagonist is mother nature herself since Tammi has to switch her vegetarian diet and feast on fish to survive. The other dilemma is the amount of time our characters spend at sea. The other predicament is that all the communication aboard the boat was destroyed by outside forces. I wanted to like this movie so much, but in the end game of things I felt it did not have enough positive moments to merit a favorable review.